HART’s new website went live on August 17, just 11 days before the deadline. 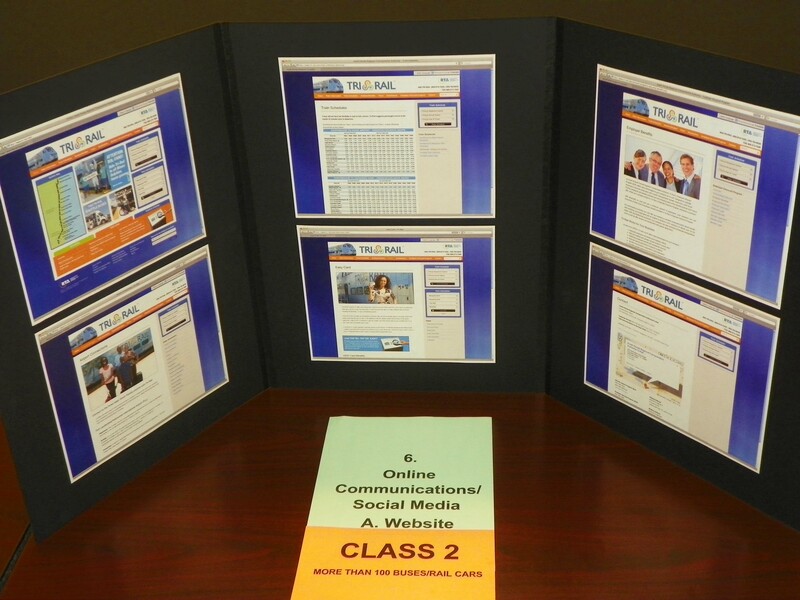 But they made it in time to be recognized for a fresh new website that’s easier for their users to navigate. 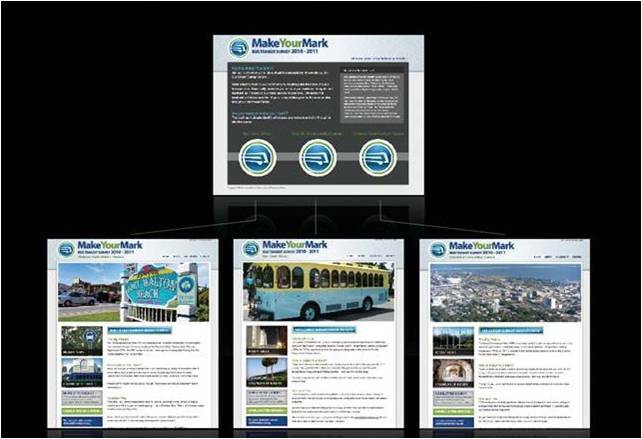 Their custom designed website focuses on a new brand and built specifically to fit their needs. The new ridecitrus.com is optimized, mobilized and easy to navigate. 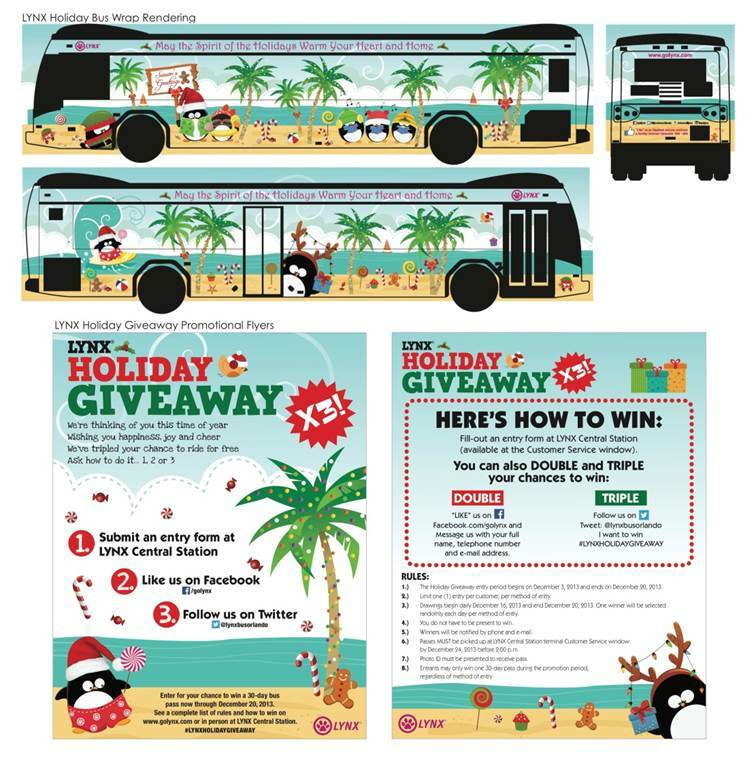 For their riders, staying up-to-date is easier than ever as they highlight community programs and services, holiday schedules, route maps and convenient online pass purchasing. Clear and easy site navigation with a modern mobile availability to the user has been achieved. Web site traffic has increased by 10 percent and customer service calls for detail and route direction are down by 15 percent. Facebook engagement increased 5.5 percent with a record high of 43 new “Likes” (at a time) in one week. Twitter followers increased 6.6 percent. Also, 560 customers completed an entry form in the terminal. The LYNX holiday campaign is always a success. This time, however, increased levels of engagement proved to be the most successful yet. Votran.org was reinvented with many interactive tools. 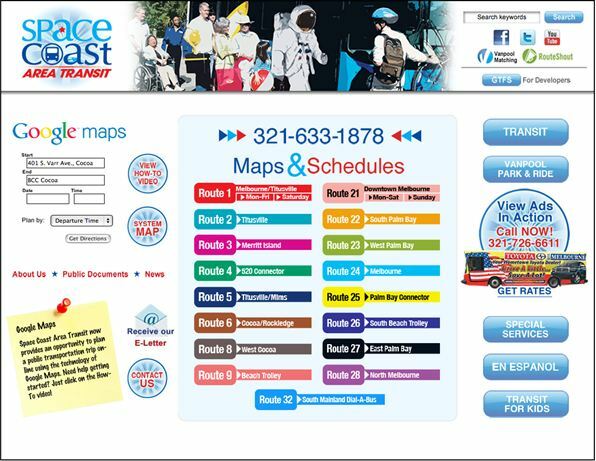 These tools allow riders to plan trips and keep up-to-date on events affecting Votran service. Votran.org now shows real-time status on bus arrivals/departures and delays/detours to routing. 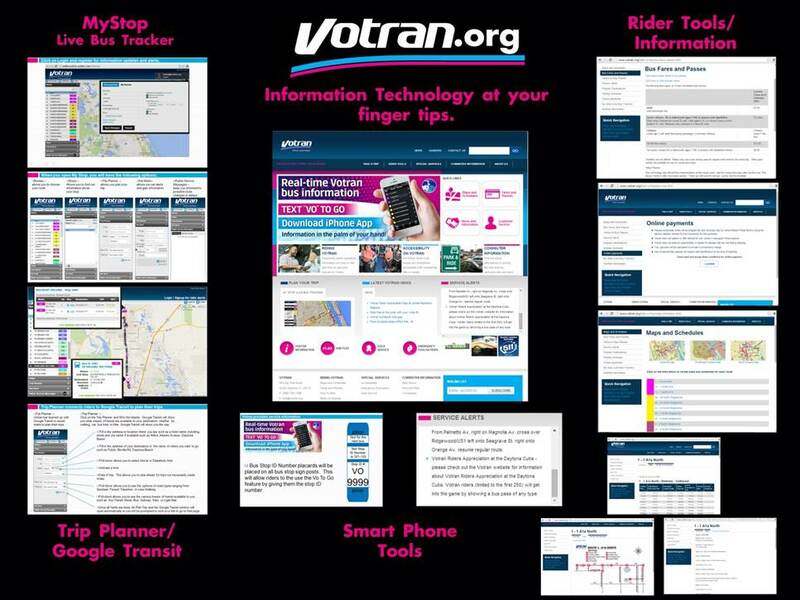 The new Votran.org allows viewing on smart phones/tablets and enhances customer interaction. Busting the Empty Bus Myth – since this is a common misconception, the ability to debunk it as a myth has cause this video to go viral. Within the first week of posting, the video was reposted to no less than two dozen other transit agency and related industry sites, including Mass Transit Magazine, Streetsblog Network, Human Transit, Reconnecting America, and Transit Intelligence. To date, the video has more than 6300 views. 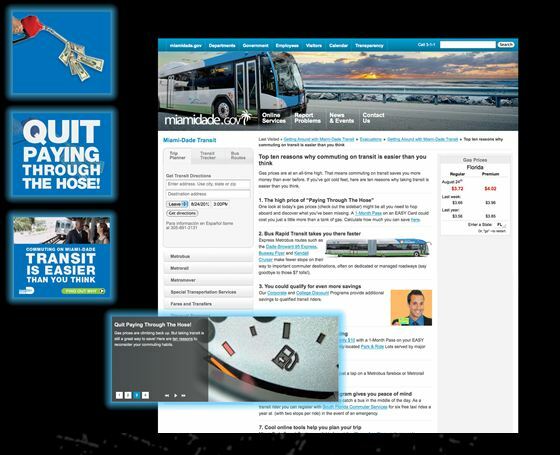 Tri-Rail’s new website was developed to be more user friendly and visually appealing, while adding Google Analytics to track page visits. 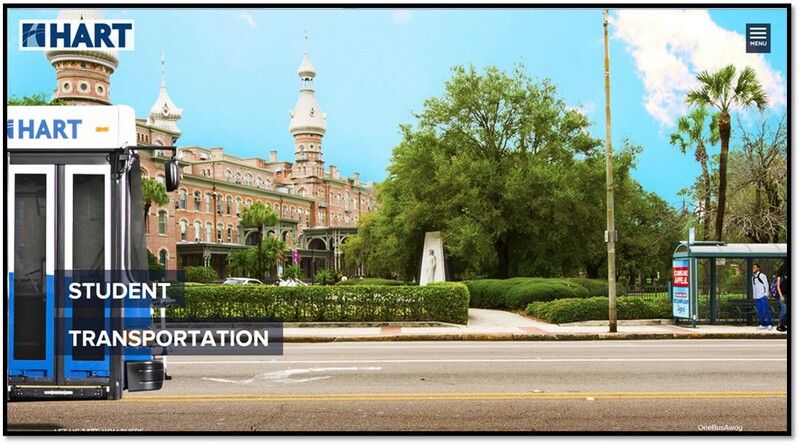 As a result, Tri-Rail tracked more than 330,000 visits to the website, noted an increase in trip planning and gained positive feedback from riders. 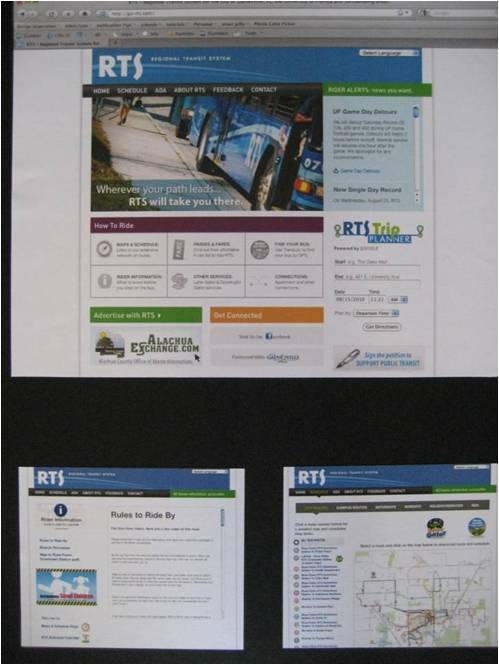 Target Audience: Potential Transit Customers/Choice Riders Project Cost: $4,000 Description: In May 2012, in response to skyrocketing gas prices, MDT launched an online campaign encouraging choice riders to try transit. Eye-catching animated banner ads were deployed linking to a landing page with a “Top Ten” list of reasons to leave the car behind. The list included inducements from simply saving money to the environmental benefits of public transportation. The banner ads had over 4.5 million impressions leading to 10,041 visits to the landing page. Target Audience: New and Existing Riders Project Cost: $39,290 Description: Since the new website was unveiled at www.RideSCAT.com, the following statistics have been compiled through Google Analytics: - The bounce rate on the site decreased 22.1% - Average time spent on the site increased from 3.39 to 8.47 minutes - Number of page visits increased from 2.95 to 6.65 - Map and Schedule views increased 37.9%; - Interactive system map 23.2% - Overall site usage increased 40.2% - New visits per month averaged 8,462 on the main site and 3,594 on the mobile site; iPad and iPhone being the largest mobile device users - 37 percent of all visitors plan a bus trip using the Google Maps Trip Planner. 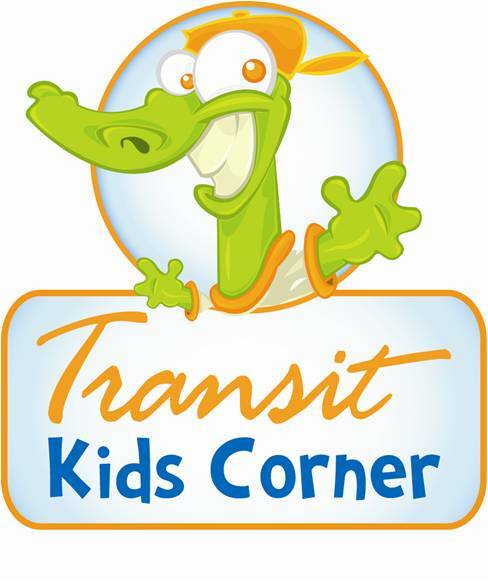 Target Audience: kids 10 yrs and under, parents, teachers Project Cost: n/a (in-house) Description: Transit Kids Corner was launched in April 2011 as an interactive, educational website to teach kids how to plan bus trips, riding and safety tips and other transit-related information. 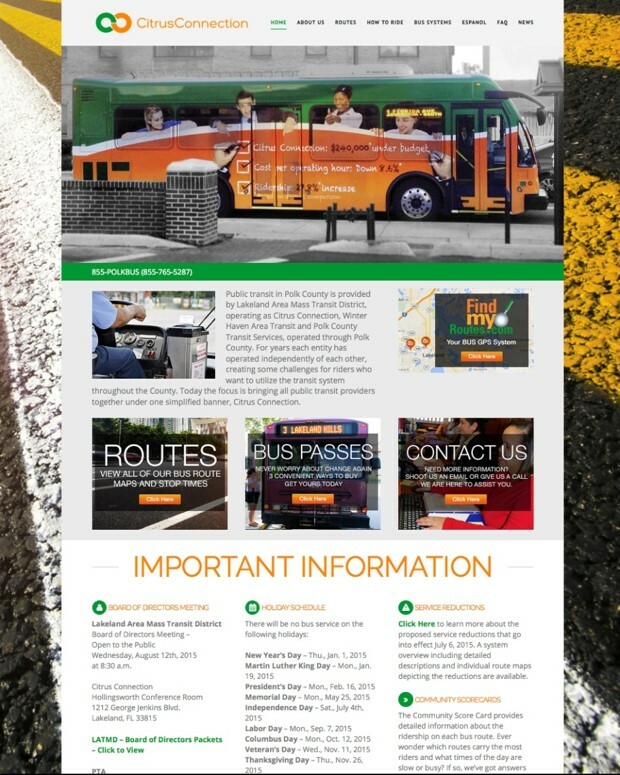 The site consists of interactive puzzles, word searches, transit trivia, link to “Safety Tips”, video and more, plus a link to a text-only file with the same content. As a result of community outreach, print, online and radio promotions, and a link on the County’s Kids’ site page, Webtrend reports the site has 1,441 page visits and 2,460 page views from April 15 through August 31,2011.